"Our files had overrun our office and were taking up so much valuable space. We even had to rent storage space, which posed additional difficulties when we needed to access certain files. Also we were concerned that files in storage may not be secure. 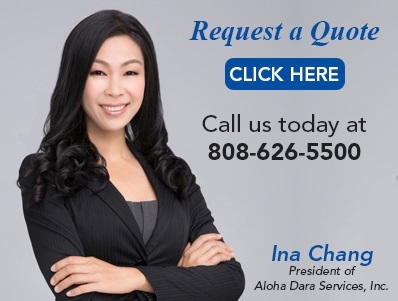 We are very relieved to have been referred to Aloha Data Services. Now our files are safe and secure in a digital format, which we can access from multiple computer terminals quickly and easily. We no longer have to pay for storage, but the best part is that we have our office space back. Never realized how big the place is because it was so crowded."